Home > The Hostway Blog > Web Presence > How Much Disk Space Do I Need for My Website? Any hosting customer is allotted a specific amount of hard disk space on the server they’re purchasing. This allotment is for the components which comprise your website: HTML files, images, videos, audio, Flash files, databases and so on. Email accounts, raw access logs and any installed programs or scripts are also included in the total. How much room does this all take up? The amount of disk space needed depends greatly on the type of website. One with hundreds of large audio and video files, for example, will consume more space than a simple site with five or six pages. E-commerce websites also usually have large numbers of individual product pages with high-quality pictures to describe products, taking up considerably more space than a blog with lots of words but limited graphics. The size of individual webpages grew rapidly. The average size of a webpage increased from 1.28 MB at year-end 2012 to 1.7 MB at year-end 2013. That’s a big jump, especially when you consider that in 2010, the average size of a webpage was 726 KB. Images played a huge part in this growth. Images have grown from an average of 793 KB per page in 2012 to just over 1 MB per page today. This is more than double the average from 2010, when it was 430 KB. If you already have a website, and the files and folders are archived on your hard drive, it’s easy to find out how much space you’ll need on your host’s server. Go into your local disk, open the folder that contains your website files, right-click on it and select Properties. Still building your website? Consider the stats above when making an educated guess about what you’ll need. For example, a 50-page site at 1.7 MB per page means you’ll need approximately 85 MB of disk space; that includes photos and interactive images, CSS files and email accounts. A simpler site will need less. You’ll also want to allow for growth, especially if you have an expanding e-commerce business or plan to have a significant amount of video on the site. In addition to the content on your webpages, you need to consider any back-end web hosting features you’ll need. We mentioned email accounts and email storage files above, but you’ll also need to account for database software and web apps such as shopping cart software, contact forms, secure payment processing, traffic logs and counters, and guest books, among other things. The more features you plan to incorporate into your website, the more disk space you will need. These applications range in size, so you should determine which you’ll be using before calculating your total requirements. Design a typical page and measure it to confirm the size of the files you will have on your average page. Make sure you account for pages with web apps, such as shopping carts or contact forms. If your website is a simple blog, you can probably count on two hands the number of pages you’ll have. For an e-commerce site, it’s also easy to measure: How many product pages will you carry? Building a site map can also help you determine how your overall website will look. From there, you can determine the number of pages required and have a pretty good estimate of the types of files that will be on each page. Every time a webpage is viewed, changed, accessed, uploaded or downloaded from your website it affects the amount of bandwidth you need. Also take into account the number of pages they will view during a visit. 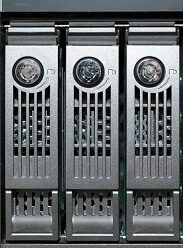 It’s important to account for web hosting space for your current files and allow room for growth so you can add features as your client base or number of visitors grows. When you put all these factors together, you’ll come close to understanding the space requirements you’ll need to get started. Think about how your site will grow (pages, products, visitors) and make an educated guess as to what that means for the short term. Don’t worry, however, if you’re off target. Most hosting companies will allow you to upgrade your space needs as necessary.